My husband's youngest sister loves sweets, but she often finds desserts to be too sweet for her palate. Baklava, for instance, is overwhelming for her. I found a remedy to this situation by adding berries. 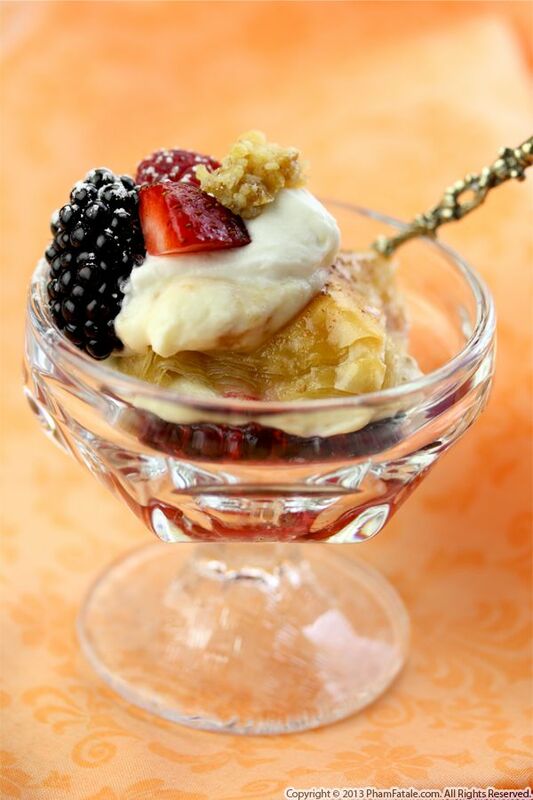 The fruits help balance the sweetness of the dessert by adding natural acidity. I started by preparing a traditional baklava. Once it had cooled, I filled the dessert with a thin layer of freshly crushed berries, topped with a layer of mascarpone cheese to again reduce the sweetness (and for extra decadence) and garnished the finished product with fresh berries. Please welcome Jacklyn, of A BitterSweet Wife, a delicious food blog I discovered a few months ago. Jacklyn is a NYC fashion designer turned food writer with an incredible sense of design and very creative recipes. I'm especially fond of Jacklyn's desserts. 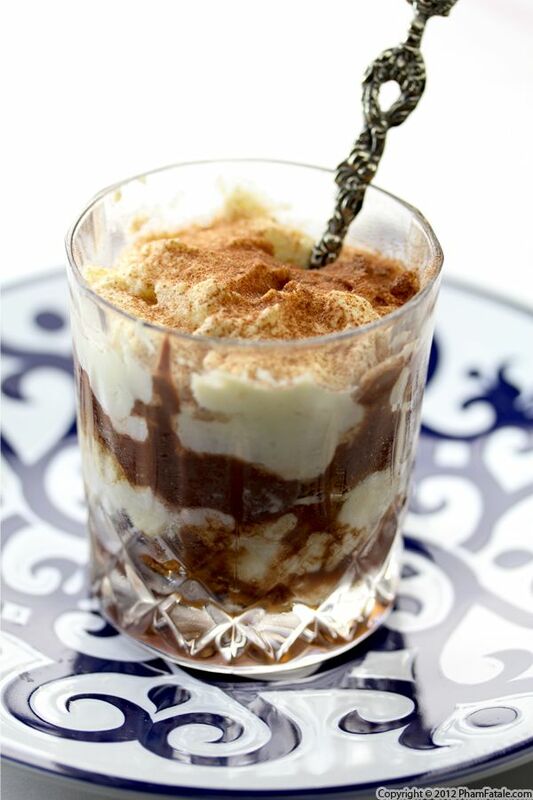 Tiramisu is our family’s favorite dessert, so it’s a special treat to be sharing Jacklyn’s Baileys hot cocoa tiramisu recipe. Please visit Jacklyn's A Bitter Sweet Wife for more delicious dessert recipes! This year is turning out just as wonderfully as I had predicted. I know it's a little soon to judge the entire year, but three weeks in, I'm very satisfied with the outlook. One of the very exciting opportunities that has presented itself to me this year is that I was asked by Jackie of PhamFatale.com to create a guest post for her blog! Seeing as though my blog is still a baby at six months old this month, it was an unexpected but great surprise that she reached out to me a few weeks ago asking me if I would be interested in creating a dessert post for her blog. Of course I said yes and began brainstorming for something that would be unique, but easy and delicious for my recipe. I am beyond pleased with my decision and the outcome of the dessert. It is a for sure crowd pleaser in anyone's kitchen. It's a twist on a timeless classic that will have you dreaming of nights in front of the fireplace as you watch the snow fall outside your window. Who doesn’t like to cuddle up with a nice mug of hot cocoa on a cold winters night? Add a little splash of Baileys and your sitting pretty. 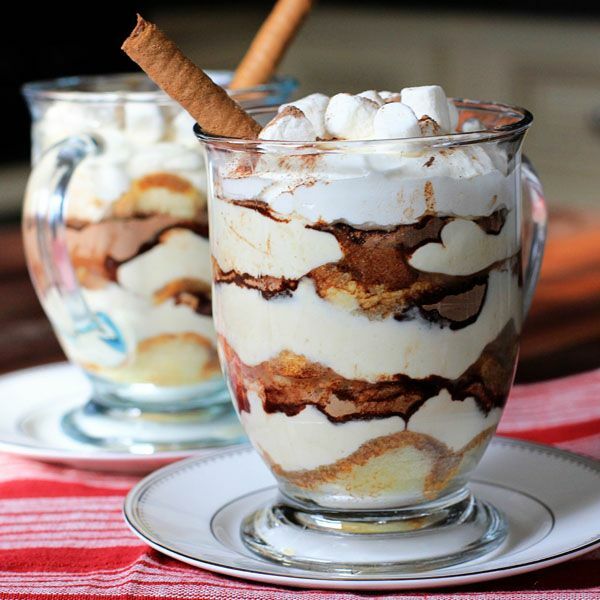 Well I decided that for my first attempt at tiramisu I was going to mix things up a little bit and do my own take on this Italian classic. (Hence were my opening statement about the Baileys spiked hot chocolate comes in to play.) I decided to swap out the coffee and brandy liquor for hot chocolate and Baileys, hoping that the taste would be reminiscent of the popular winters night beverage. And I have to say I think I was extremely successful. 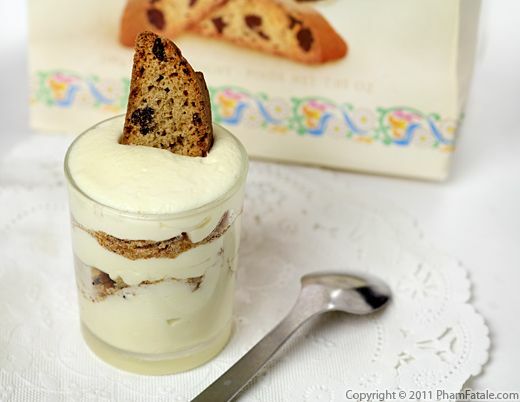 The taste of Baileys soaked cake hits you first, and then you get the sweetness from the chocolate powder mixed with the creamy tartness of the mascarpone mixture. It’s quite a divine combination.